The Mathematics KLA at Cherrybrook Technology High School offers the full range of curriculum courses as outlined in the various syllabii set by the NSW Board of Studies. The Mathematics faculty works closely with the CTHS wellbeing team to meet the learning needs of all students through extra support and differentiated programs. 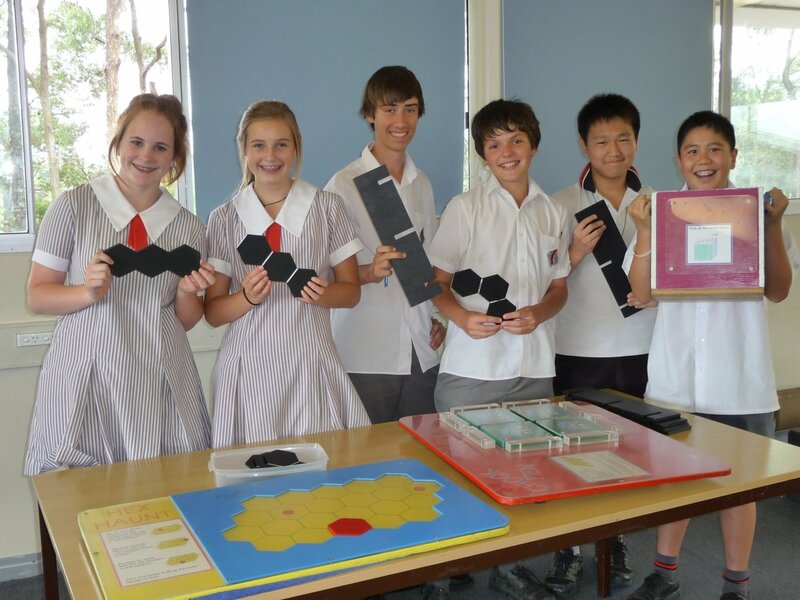 Students in our gifted and talented program participate in many enrichment activities including the Australian Mathematics Competition, the Australian Problem Solving Mathematics Olympiad (APSMO), Maths Challenge for Young Australians Challenge Stage and Enrichment Series. Maths Clinic can be applied for by seeing the Head Teacher of your year (Ms Iacona for Years 7, 9 and 11 and Mrs Lees for Years 8, 10 and 12). MathsPASS (Peer-Assisted Study Sessions) is a weekly support session provided to Stage 4 students by a trained Year 11 tutor during designated lunchtimes. Limited places are still available and any enquiries regarding MathsPASS should be directed to Mr Woolven. Students in year 7 remain in their core classes for Mathematics. Students complete 8 periods per fortnight and an additional one period devoted to problem solving skills. Further information about requirements of students, including an assessment timeline, can be found in the Mathematics Stage 4 letter sent home at the beginning of each year. Students in year 8 are placed into Mathematics classes based on their performance in year 7 Maths. Students complete 8 periods per fortnight and an additional one period devoted to problem solving skills. Further information about requirements of students, including an assessment timeline, can be found in the Mathematics Stage 4 letter sent home at the beginning of each year. Students in year 9 are placed into classes for Mathematics based on their performance in year 8 Maths. Classes are taught in either the 5.3 (Advanced), 5.2 (Intermediate) or 5.1 (Standard) mathematics course. Students will be assessed based on the level made available to them. It should be noted that students who wish to attempt the assessment higher than their current level are welcome to, and need to simply request this opportunity. Students complete 8 periods per fortnight. Further information about requirements of students, including an assessment timeline, can be found in the Mathematics Stage 5 letter sent home at the beginning of each year. Students in year 10 are placed into classes for Mathematics based on their performance in year 9 Maths. Classes are taught in either the 5.3 (Advanced), 5.2 (Intermediate) or 5.1 (Standard) mathematics course. Students will be assessed based on the level made available to them. It should be noted that students who wish to attempt the assessment higher than their current level are welcome to, and need to simply request this opportunity. Students complete 8 periods per fortnight. Further information about requirements of students, including an assessment timeline, can be found in the Mathematics Stage 5 letter sent home at the beginning of each year. Students who select a mathematics course in year 11 complete 9 periods per fortnight. Those who complete the Extension Mathematics Course complete 13 periods per fortnight, including lessons at 7:30am before school on Tuesdays and Thursdays. Students studying Mathematics in year 12 complete 9 periods per fortnight. Those who complete the Extension Mathematics Course complete 13 periods per fortnight, including lessons at 7:30am before school on Mondays and Wednesdays. Students studying Extension 2 Mathematics will continue to attempt assessments for the 2 unit mathematics course until later this year. Extension 2 students complete 17 periods of mathematics per fortnight, as negotiated with their teacher.